Rustic Artist Hideaway Lose the world and find yourself at the Artist Hideaway. 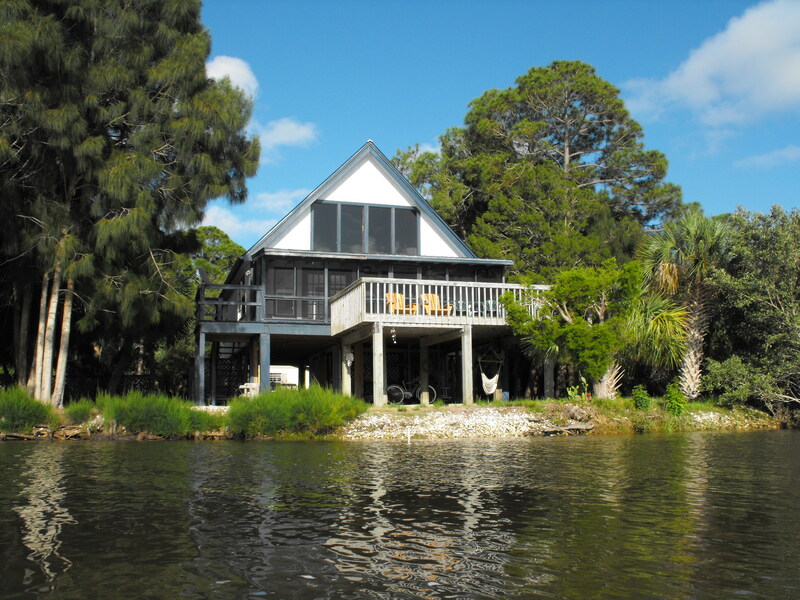 The house is hidden away on the lovely bay waters of the Gulf of Mexico at the end of Indiana Avenue on the island of Cedar Key, Florida. Your panoramic view is ever changing here. Paddle your kayak on waterways surrounded by needle rush, saltwort, glasswort and smooth cord grass. These amazing flats of salt grasses are home to Great American egrets, great blue herons, tri-color herons, little blue herons, snowy egrets, ospreys, and even the American Bald eagle. At high tide even the Atlantic Bottle Nose Dolphins visit this pristine area to feed and play.